With its latest iPhone 5s and iPhone 5c devices, Apple is ramping up its efforts to court the Asian market by finally reaching a deal with NTT Docomo – Japan’s largest carrier – and releasing the iPhone in China from day one. NTT Docomo had held out on selling the iPhone for years, so the fact that the two companies have managed to reach an agreement is a significant win for Apple. The iPhone maker considered it a big enough deal to issue its own press release on the matter. However, mentions of China Mobile, which has almost 750 million subscribers, were conspicuously absent from Apple’s event on Tuesday. That doesn’t mean the rumored deal is out of the question, though, as Apple is set to hold a separate media event in China on September 11th. As such, Apple may be waiting to announce that news to domestic media. China Mobile prospects aside, the news that Apple will for the first time release new iPhones in China on launch day is significant. 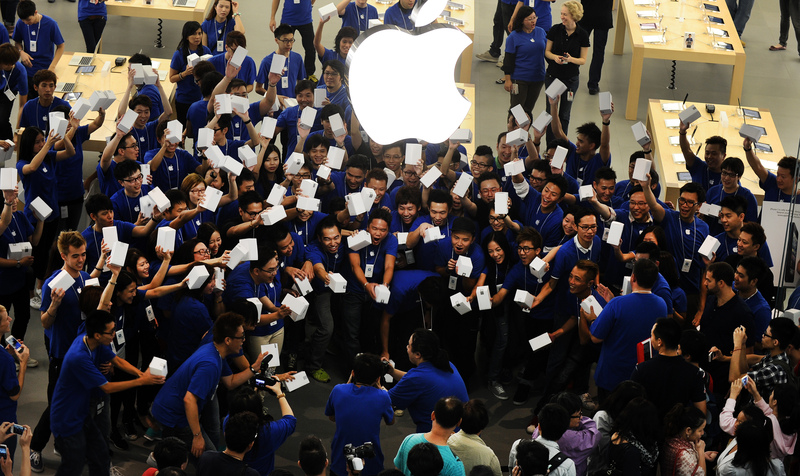 The months-long delays that mainland China experienced for previous generations of the iPhone often ended up resulting in launch crowds full of scalpers and grey-market sellers. Both Beijing and Hong Kong have had unseemly incidents in recent years. Japan and Singapore will also get the iPhone 5s and iPhone 5c on launch day. Asia has often been credited as part of Apple’s motivation for producing the iPhone 5c since device subsidies are less common there, but the company elected not to go too aggressive with the pricing of the iPhone 5c, which replaces the iPhone 5. In China, the iPhone 5c will retail for RMB 4488 ($733), significantly more than the $549 off-contract price in the US. To be fair, the RMB price already includes tax, but that’s still represents a mark-up of 33 percent. By comparison, the iPhone 5c in China costs more than twice the amount of local player Xiaomi’s recently-announced Mi-3 flagship phone. The iPhone 5c will likely still perform well in Asia, even without dropping into the mid-level price range, but it won’t do as much to stem Apple’s market share losses as pundits had originally hoped. We are, however, still waiting to hear what kind of subsidy China Mobile will offer on the iPhone, assuming that a deal is announced tomorrow. Rivals China Unicom and China Telecom have offered full subsidies for the iPhone in the past, but they’ve done so for monthly plans that are inaccessible to most Chinese customers. In its most recent fiscal quarter, Apple posted tough sequential and year over year revenue declines from Greater China (-34 percent, -14 percent) and Rest of Asia Pacific (-35 percent, -18 percent). On a brighter note, Japan represented the largest sequential revenue gain for Apple at 27 percent, despite being down 19 percent sequentially. Once NTT Docomo begins selling the iPhone next week, those Japan numbers are going to shoot up quite a bit. And, if the China Mobile deal comes through at tomorrow’s event in Beijing, Apple will have two big new reasons to keep courting Asia.